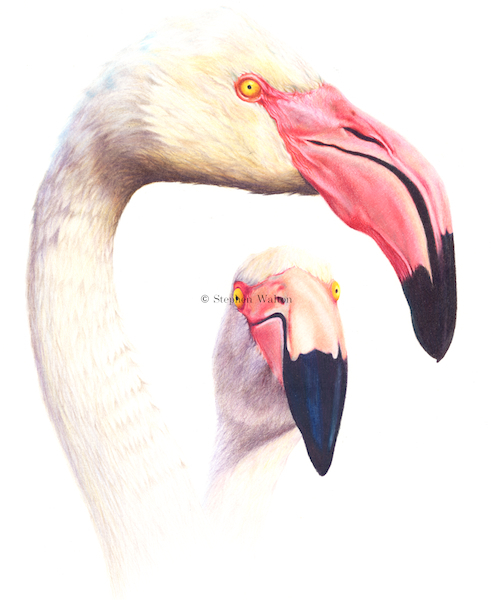 An early drawing (2004) and still a favourite.I've always thought flamingoes to be amongst the most interesting birds. Seeing them by the thousands in Africa ranks as a standout moment for me. The one drawing I have almost always had up at home.